I had a different book blog, and I had a bunch of problems with the blog hosting company, and all of my content was deleted. I managed to salvage some of my reviews from back then by compiling what I wrote on Goodreads, Amazon, and Barnes and Nobles review sections. I will be posting these reviews under a new blog post called Throw Back Thursday Reviews, until I have posted them all on this blog. 🙂 See some that I have already posted here. If you want to know why, read on! Power, grace, and immortality… Everything has a price. To walk as an abomination in the night. To have power that seeps into the vein and never lets go. To know that blood draws the path that will lay the world to rest. Zack Giver is a stoic young man that walks slowly into an inviting nightmare. After he meets a young singer at a local Gothic club, his life changes forever. Demon Vampire parallels the choices of many people over the course of centuries and how they affect both the world and each other. As the morality stains the lives of all those it touches, the the future grows darker. A romance that spans time itself takes hold of a fundamental choice. The memories that form the soul are the only cost of a power that no vampire should ever hold. What would you choose? The commanding touch of a welcome stranger, or a fleeting memory that may hold the essence of what makes you unique. Wow is this book long! This book is extremely detailed. Sometimes to a fault. This book takes you inside vampire’s dreams, which is something I have not read about before. This book has many main characters, and the story jumps to different people’s point of view. This story says that vampires who mate with humans have children called Vampeals (half-vampires, who are hated and killed by real vampires). It also talks about the “gifts” (special powers) that vampires get and different categories that those gifts come in. 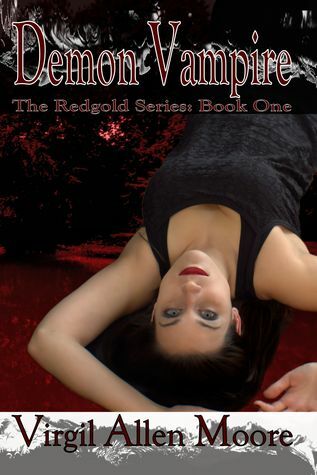 The author seems a bit arrogant, stating “If you enjoy vampires, you will be enthralled by mine.”, ummm I wasn’t enthralled. The book moved slowly, 500 pages is not the longest book I’ve read, by far, however this book seemed to drag on FOREVER. I felt like the back stories of all the vampires should have been shorter, or extended and released as prequels to this book. There were so many histories of all of the vampires, and it seemed to just drag on and on. I also felt like a lot of this story was repeated over and over and over. I wouldn’t recommend this book to anyone, but I didn’t hate it either.